Thanks to the internet, does architecture have a crisis of ideas? - Archpaper.com Thanks to the internet, does architecture have a crisis of ideas? Does architecture have a crisis of ideas? 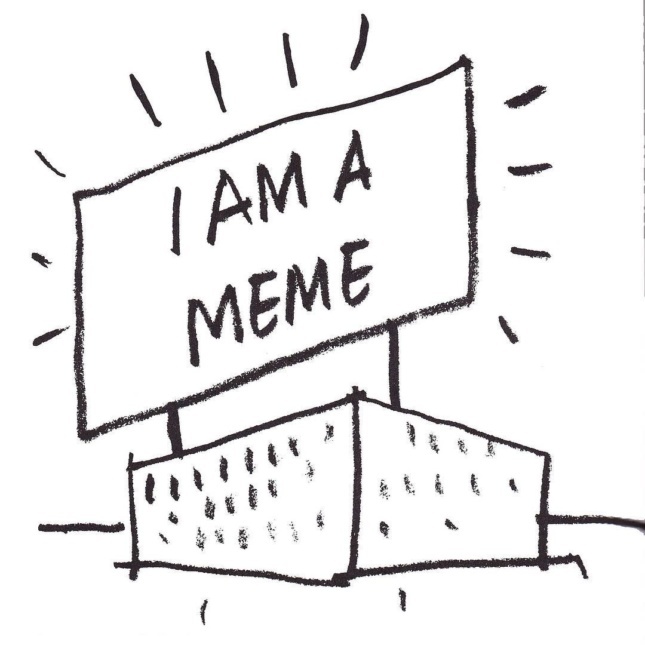 Like everything, architectural history and theory have been radically realigned by the internet and digital culture. Now, ideas are passed through relatively unfiltered media, such as 140-character tweets that have turned writers’ attention from writing to spewing fragments of criticism that float off into the ether. Curation today is often merely a manic production of online content driven by clicks, which come from posting more (and more, and more) content. This makes young writers who are feeding this content beast truly starved for new things to write about. It is a dramatic shift from the days when magazines like Architectural Forum and Progressive Architecture were the curatorial gatekeepers that held the conversation at a high level. The result is that bad ideas can come to be front and center in the architectural discussion very easily due to metrics and algorithms. What passes for “radical,” “idea,” “theory,” and “concept” today is becoming eroded as quickly as our political discourse. 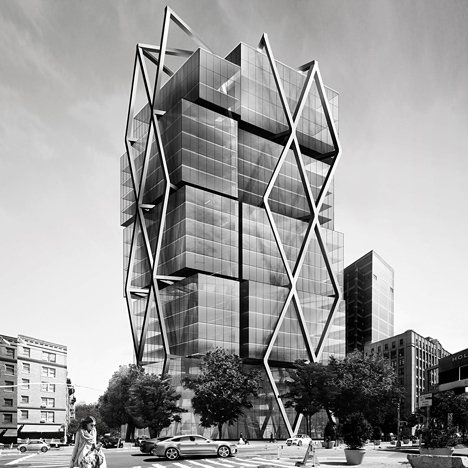 For example, a recent headline on a popular architecture-oriented website proclaimed: “Designer Dror Benshetrit releases three conceptual proposals for residential skyscrapers in New York.” The article showed a series of towers as rudimentary as a student project before a first crit. While it makes business sense to do speculative projects on sites in New York that could attract luxury development, the media has a responsibility to question whether these are actually conceptual, or just a bad unbuilt project. What purpose these serve is unclear, although one claims it is a new, efficient structural system. As far as ideas go, this leaves much to be desired. In a similar pointless exercise in mediocre conceptual architecture that looks good on the internet and keeps content producers busy, oiio—which also made a clever proposal to add onto the Guggenheim by extending its spiral upward—has proposed one of the least likely and most useless pieces of architectural speculation in history. According to the Huffington Post, this speculation was “The Big Bend, A U-Shaped Skyscraper, Could Become The Longest In The World.” But it almost certainly couldn’t. The conflation of possibility and wild speculation harms the media’s credibility and creates the architectural equivalent of fake news. And the project, essentially two 432 Parks that bend to meet at the top, isn’t even a compelling idea. It barely even qualifies as formalism, let alone conceptual architecture. 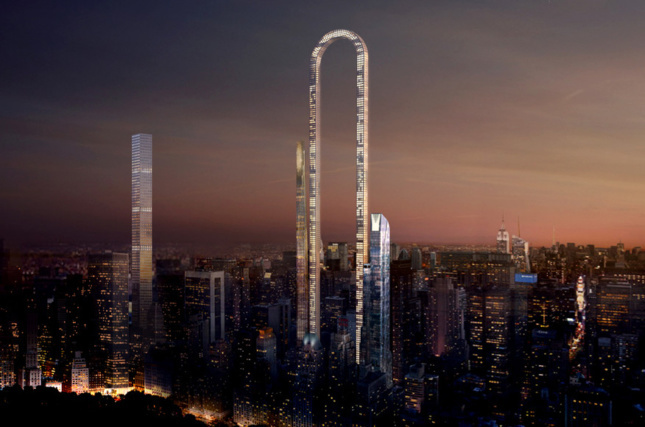 That would be the silliest architectural concept ever, except that an article on Forbes, “New York Architects Plan Enormous Skyscraper Hanging From An Asteroid In Space,” wins that prize. This bizarre fantasy is based on some actual scientific research, but when translated sloppily to architecture, it becomes simply childlike: Why would we want to “hang” a skyscraper from an asteroid, and why are we taking this proposal seriously? 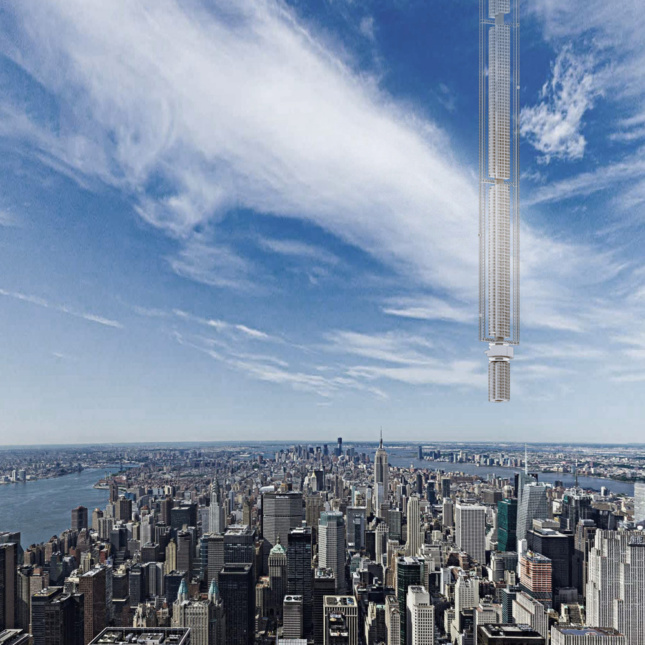 It would be hard to find something more useless for architectural discourse than the hanging-asteroid skyscraper. Where are the relevant ideas in architecture? While taking the latest philosophy or digital technology and applying it to architecture is at least a stab in the right direction, what happened to innovative formal ideas, or cultural innovations in architectural form? Where are the radical ideas that might spark our imagination and make us think differently about the discipline and the world in which it exists? Where are the good ideas, and how can we help to get them into the discussion?